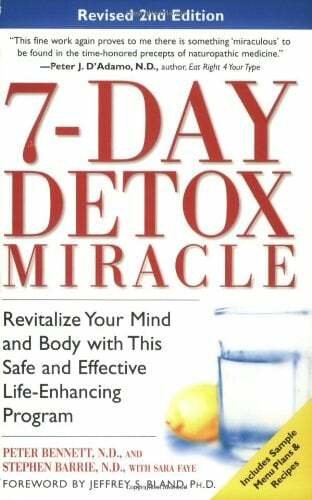 "Similar to an oil change for your car, the "7-Day Detox Miracle" can clean and improve the filtering of your internal fluids in a way that produces immediate benefits in fighting disease." --Michael T. Murray, N.D., co-author, "Encyclopedia of Natural Medicine"
"This fine work again proves to me there is something 'miraculous' to be found in the time-honored precepts of naturopathic medicine." --Peter J. D'Adamo, N.D., author, "Eat Right 4 Your Type"